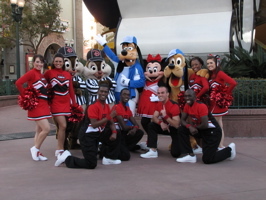 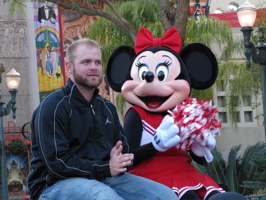 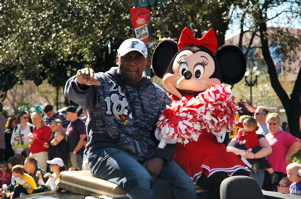 Atlanta Braves catcher Brian McCann shares a car with Minnie (below, left) and Chip and Dale, Goofy, Minnie and Pluto pose with ESPN the Weekend cheerleaders (below, right). 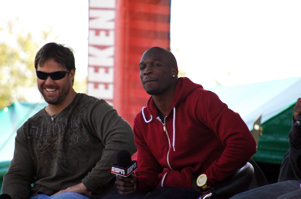 Mike Alstott and Chad Ochocinco answer questions after their motorcade (below, left). 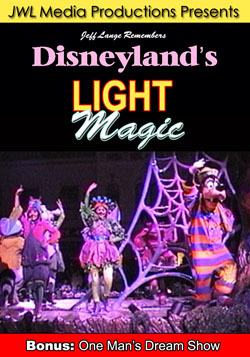 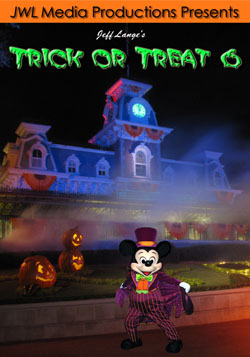 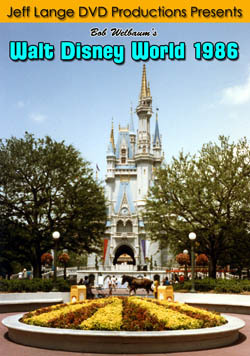 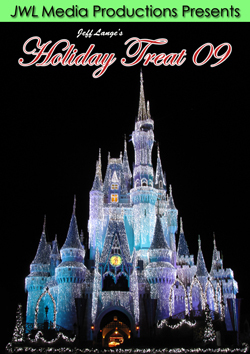 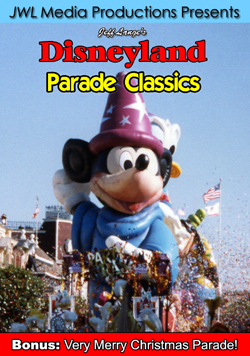 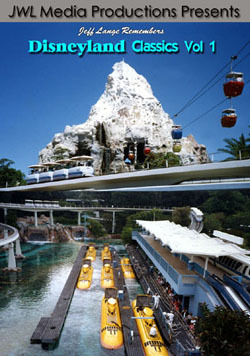 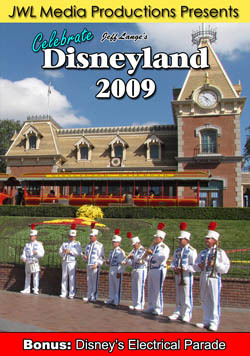 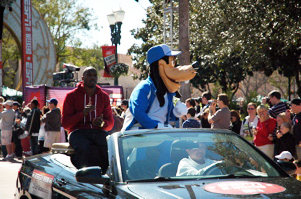 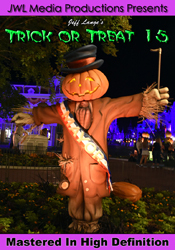 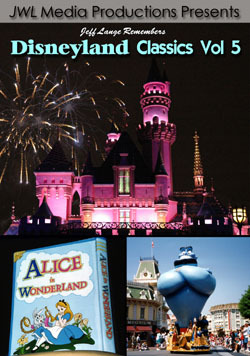 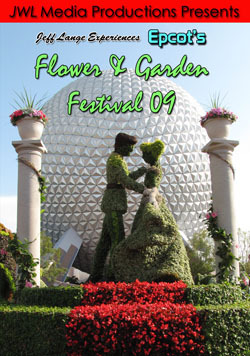 Chad Ochocinco sits with Goofy in a motorcade car (below, right). 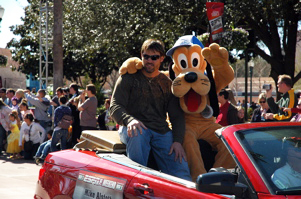 Pluto puts his arm around Mike Alstott (below, left) while Thurman Thomas poses with Minnie (below, right). 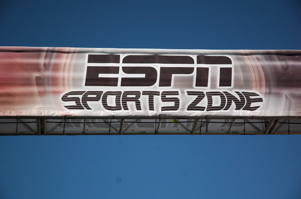 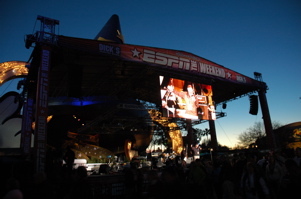 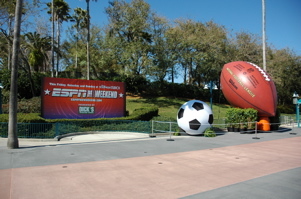 The ESPN Sports Zone (below, left) was one of my favorite spots in the park, with games for guests to play as well as meet-and-greets with athletes. 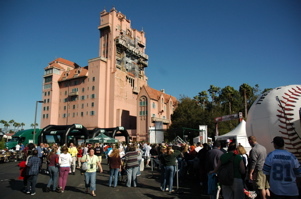 I also enjoyed the location, with a different view of the Twilight Zone Tower of Terror than I am used to having (below, right). 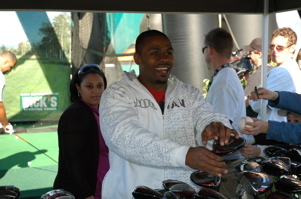 Houston Astros center fielder Michael Bourn smiles as he picks up a golf club in the ESPN Sports Zone (below, left). 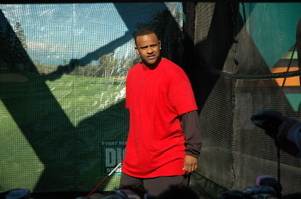 New York Yankees pitcher CC Sabathia also takes up a golf club as he mingles with guests in the golf tent. 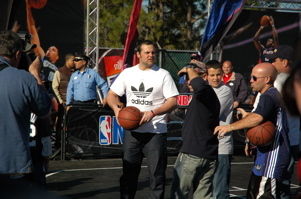 Yankees pitcher Joba Chamberlain joins CC Sabathia in playing some basketball with park guests (below left and right). 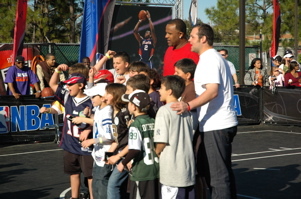 The kids seemed really excited to be playing with their sports heroes! 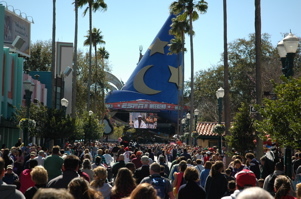 Chamberlain and Sabathia answer questions as part of the Baseball Tonight broadcast, live from Disney’s Hollywood Studios (below left). 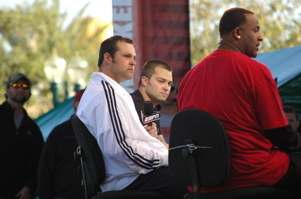 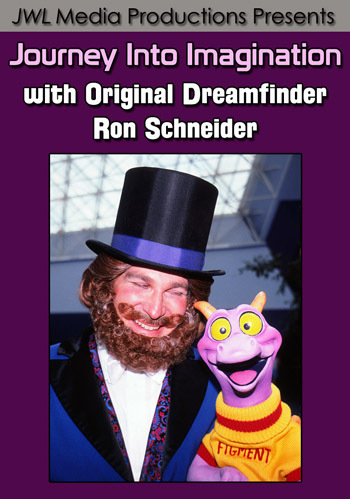 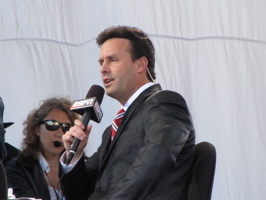 Karl Ravech hosts for ESPN (below, right). 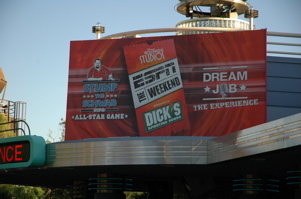 We tried to get into Stump the Schwab to see the Yankees, but we narrowly missed getting in (below, left). 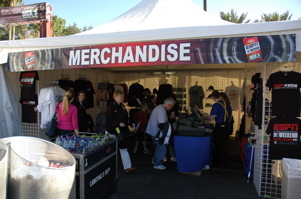 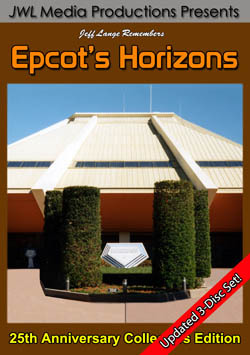 There was a number of nice items of merchandise for sale as well (below, right). 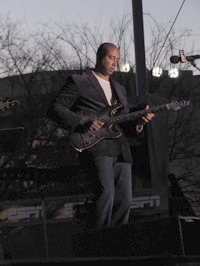 Bernie Williams is a classically trained guitarist, and played a concert for guests at the end of the night (below, left and right).